Moombahton and electro producer, Dillon Francis, is set toperform live in Malaysia for an exclusive show on December 5 at Rootz Club, KL. 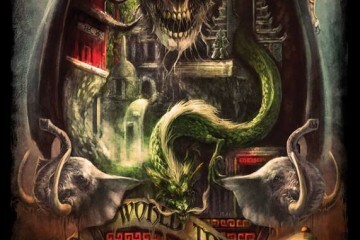 Organized by Rootz Club KL and After Dark Agency, a subsidiary of The Livescape Group, the one-night-only show is expected to attract close to 1,000 fans. 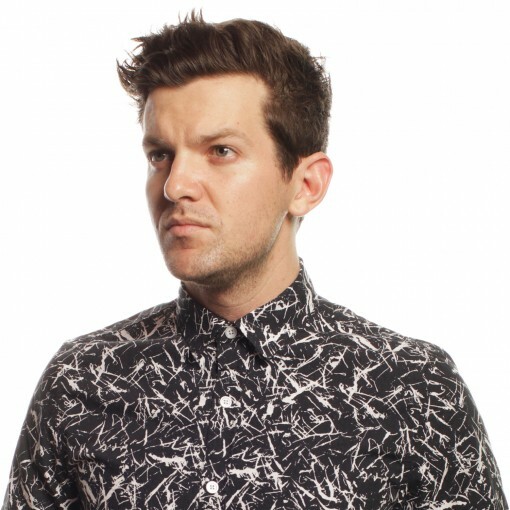 Dillon Francis first rose to fame when he caught the attention of fellow American DJ and producer, Diplo, and eventually the two collaborated and created the song “Que Que”. The talented DJ and producer is known for his unique moombahton sound and is also the first moombahton artiste to reach the number one spot on the Beatport chart with the release of his EP, Something, Something, Awesome. “We are thrilled to have Dillon Francis coming back to Kuala Lumpur to perform live and we are sure that his fans are as excited to see him again as we are. Tickets to the show are limited because we want to provide an intimate show, so I urge fans to purchase them early to avoid disappointment”, Iqbal Ameer, CEO of The Livescape Group said. The internet celebrity is known to be a funny man with over 181.6k followers on hisVine account is known to provide endless entertainment with his antics. 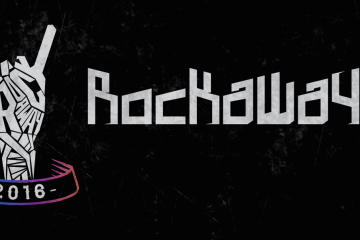 He is also one half of the production duo, Meowski666, together with electronic music producer, Kill The Noise. 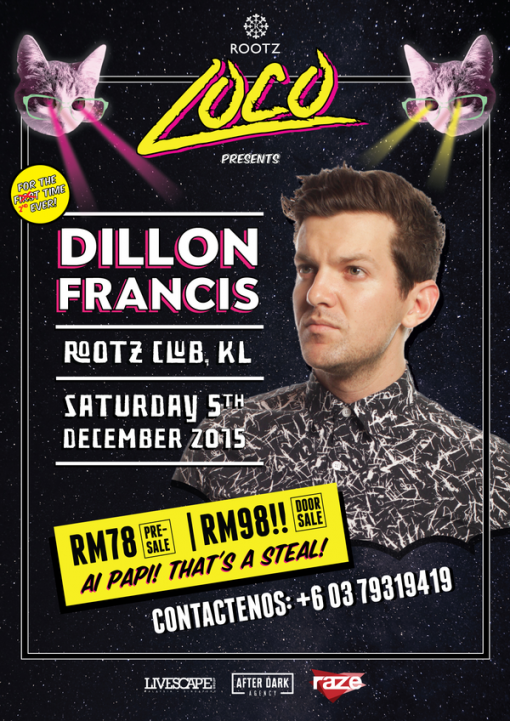 The Dillon Francis show will take place at Rootz Club, KL on 5 December 2015. Doors to the show opens at 10.00PM. Tickets to the show are priced at RM78 (pre sale) and can be purchased via Ticket Fairy at https://www.theticketfairy.com/event/loco-presents-dillion-francis-kuala-lumpur-5dec2015/ and RM98 (at the door). This event is also part of the Hennessy Ultrabeat series. Pre purchase of Hennessy VSOP bottles in Rootz Club entitles you exclusive invites to the show. +6013.375.0046. For more information or to obtain updates on the Dillon Francis show, logon to www.livescape.asia or www.facebook.com/livescapeasia.